Lytx reviewed 43 behaviors associated with driving events of 239,000 vehicles on 20 consecutive Mondays leading up to Aug. 13, 2017, the Monday before the eclipse, and separately analyzed the same data set for driving events captured during the daylight hours of Aug. 21, 2017. According to video telematics provider Lytx, driver behavior on the day of the solar eclipse was as extraordinary as the events in the sky. The company is the maker of DriveCam® video safety program, which analyzes video clips triggered by driving events, such as a hard swerve or a sudden break. The video clips provide insight into driver behavior at the time of the event. More than 2,200 commercial and government fleets comprising more than 400,000 vehicles use the DriveCam program. Analyzing its database of more than 70 billion driving miles, Lytx looked back at driving event data for the daylight hours of Mondays for the past five months to benchmark the normal volume and type of Monday driving behaviors. The company then compared the benchmark data to driving events during the daylight hours of last Monday, Aug. 21, the date of the solar eclipse. The data tells a curious story. 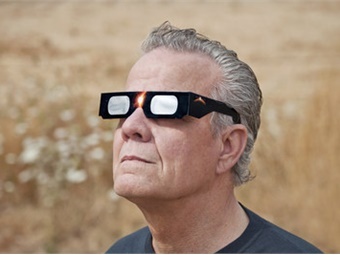 The rate of drivers "off identifiable roadway" (pulling off to the side of the road) was 68% higher on the day of the eclipse, and events involving "other communications device" (something other than a cell phone) were 47% higher. The takeaway: Commercial drivers, as a group, were just as excited about the eclipse as the rest of us and likely pulled over to take a picture. But the real telltale sign? Vehicles recorded as "driving faster than the posted speed limit" increased by 35% on the day of the eclipse, which could be drivers trying to make up time after playing hooky to watch the celestial events unfold. About the study: Lytx reviewed 43 behaviors associated with driving events of 239,000 vehicles on 20 consecutive Mondays leading up to Aug. 13, 2017, the Monday before the eclipse, and separately analyzed the same data set for driving events captured during the daylight hours of Aug. 21, 2017. The vehicles spanned all commercial driving segments: trucking, distribution, waste, transit, construction, and services.